I used to think that only the Sun will cause pigmentation but I am so wrong. The technology devices I face everyday contributes too! When I am outdoor, I will try to use an umbrella to shelter but how about indoor? This is when the sunblock becomes our hero. 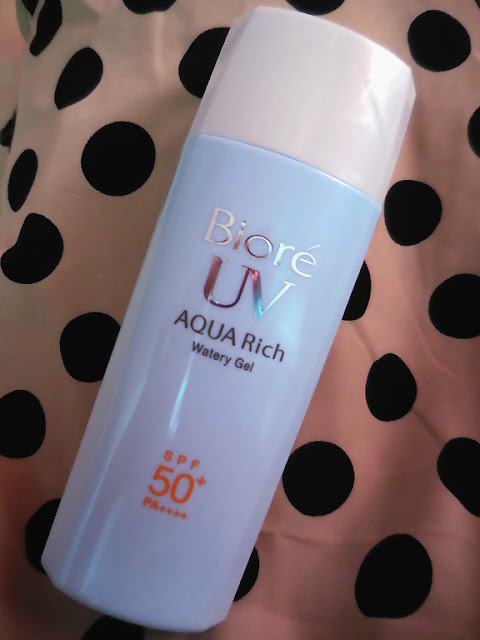 Let me share with you the Biore UV Aqua Rich Watery Gel SPF50+ PA++++. 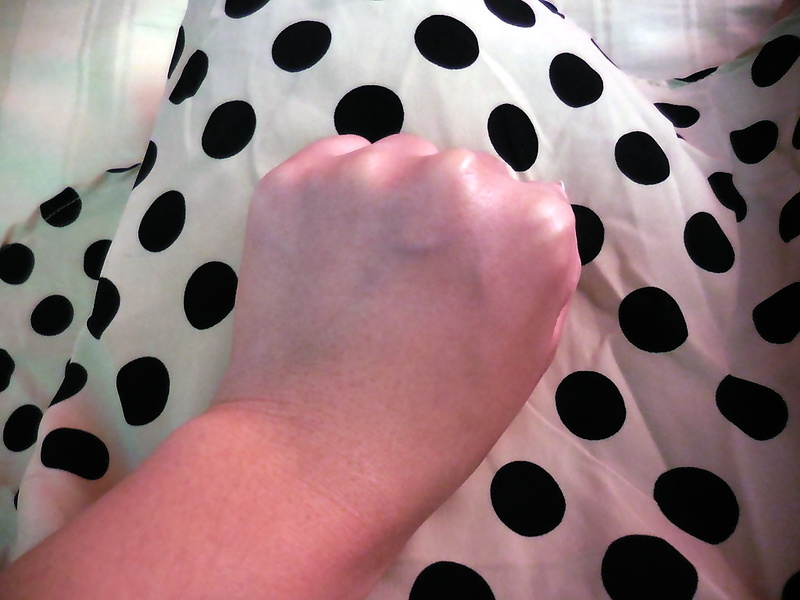 And yes I did it on purpose to shoot this photo with polka dots as the background. This sunblock provides the user with maximum protection against the harmful UVA and UVB rays from the Sun. SPF50 is sufficient to block off 98% of the UVB rays, please avoid using sunblock with higher SPF as they might clog your pores from what I know. PA++++ protects against UVA rays and right now, PA++++ is the highest standard. It is infused with hyaluronic acid & citrus extract to hydrate the skin and keep it fresh. Best of all, this product can be applied on face and body. Sounds like a wonderful product to bring along to the beach. Do remember to apply it at least 20 mins before leaving the house. 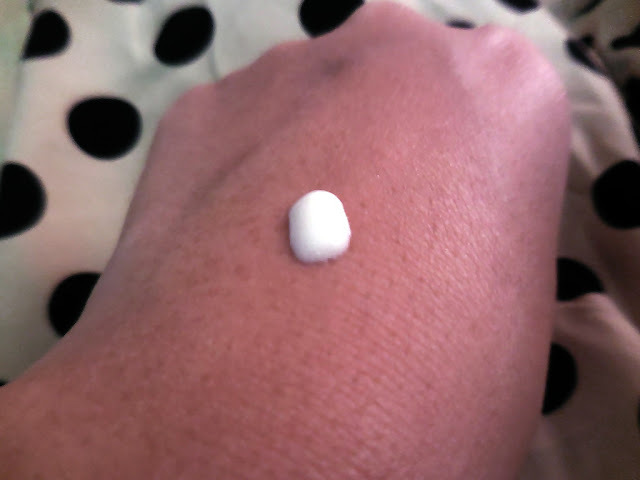 The texture of the sunblock is lighter than I expected and really easy to blend. No worries of having a white patch if you applied too much like what I did below. 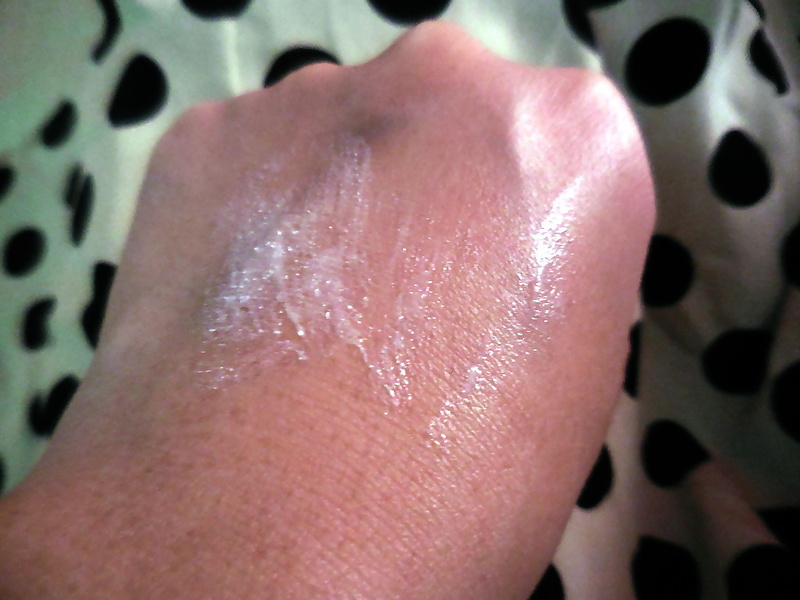 After application, what you get is a smooth finish and non-sticky. I did feel a slight cooling sensation during application too. This is an advantage to wake me up in the morning. 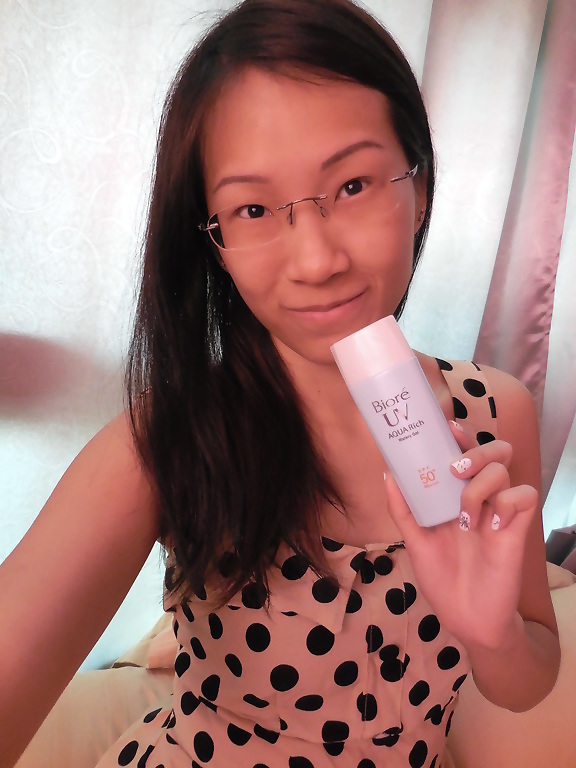 Biore UV Aqua Rich Watery Gel is retailing at $18.90 and a bottle of it contains 90ml. You can get it at leading pharmacies, supermarket, hypermarket, departmental stores, beauty stores and selected minimarts. Join me to protect ourselves against pigmentation like freckles and wrinkles now.